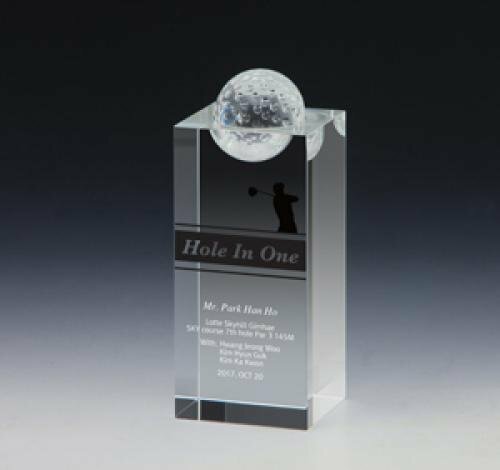 The Play Ball Gallery is a golf trophy that is perfect to showcase your play ball. The concave groove at the top of the clear optical crystal is where the play ball will sit. This piece offers lots of room for designing, from game states to tournament information and more. 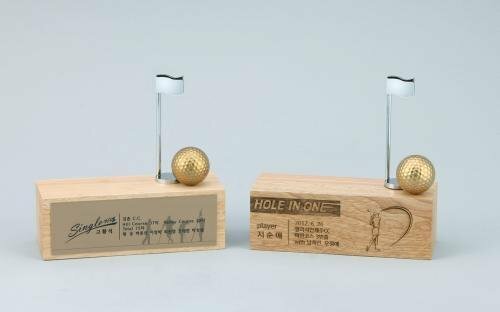 The Play Ball Gallery is literally a gallery piece for a Hole-In-One, an Eagle, or anythying that is a significant event in a special game with a special golf ball. Go long or go home with the Player's Choice III. 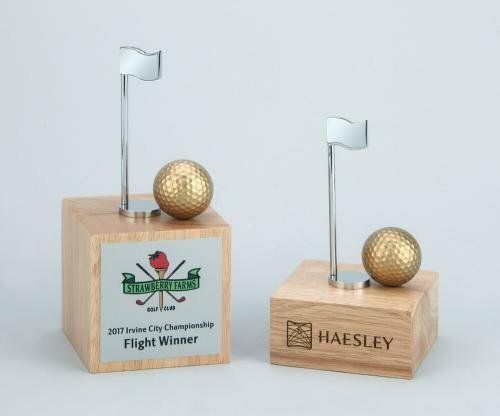 The light-grained solid wood base is made from the eco-friendly rubber wood, topped with not only a gold plated golf ball, but also a chrome plated flagstick. For an extra personal touch, you can add the logo of the course played onto the flag! The Player's Choice III comes in 2 styples, a flat rectangular block or a full square block. It is a great piece for differentiating competitor levels. There is plenty of room for congrats or game stats!